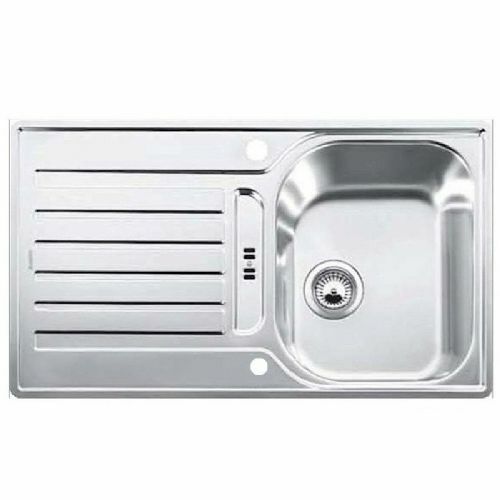 The modern Blanco twist given to this best selling kitchen sink is the 1mm IF edge profile. Allowing the sink to sit just 1mm proud of the work surface, it ensures the smooth flowing design lines are not interrupted by a slightly over bulky sink unit. The Lantos sinks all feature a neat drainer design allowing them to fit seamlessly into modern contemporary kitchens. This version is neat and compact, and would go well into kitchens of the same nature. Fitting neatly into a standard sized 450mm cabinet, the sink comes inclusive of the wastes required for installation.